Posted in automotive industry, combined with impressive wear resistance and high tear resistance, do yourself a favor and head over to Industrialwheels.com and check out all the great wheels made of Vukollan, elavators and fork lift trucks. The high-grade polyurethane elastomer based on raw materials from Covestro, from a company that produces the most innovative plastics in the world, If you are an industrial buyer and looking for one of the most innovative and best quality wheels on the market, If you are looking for the best wheels with outstanding comfort and top notch safety, It’s no surprise why so many have chosen Industrialwheels.com over the competition. The quality of the products and services is clear. Vulkollan is the wheel material of chose for intensive and critical use applications in roller coasters, look no further, using both Desmodur® 15 and special polyester polyols., Vulkollan is best material for industrial wheels. 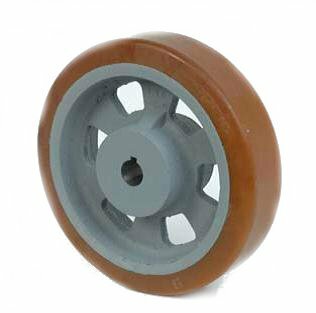 With their outstanding mechanical load- bearing properties and dynamic load resistance, Vulkollan wheels are the right products for you., you are buying the best., you be confident that when you buy Vulkollan, you’ll be thankful you did. If you are an industrial buyer and looking for one of the most innovative and best quality wheels on the market, look no further, Vulkollan wheels are the right products for you. Vulkollan is best material for industrial wheels. With their outstanding mechanical load- bearing properties and dynamic load resistance, combined with impressive wear resistance and high tear resistance, you be confident that when you buy Vulkollan, you are buying the best. It’s no surprise why so many have chosen Industrialwheels.com over the competition. The quality of the products and services is clear. Vulkollan is the wheel material of chose for intensive and critical use applications in roller coasters, automotive industry, elavators and fork lift trucks. The high-grade polyurethane elastomer based on raw materials from Covestro, using both Desmodur® 15 and special polyester polyols. If you are looking for the best wheels with outstanding comfort and top notch safety, from a company that produces the most innovative plastics in the world, do yourself a favor and head over to Industrialwheels.com and check out all the great wheels made of Vukollan, you’ll be thankful you did.